Okay, so you guys have probably heard about charcoal masks, charcoal cleansers, charcoal soaps and all things CHARCOAL by now if you’re really into beauty, or even remotely into it!.. Am I right?! It’s definitely no secret!! Wellllllll… I’ve got the next best thing for you guys!! Pantene’s new Charcoal Collection Shampoo and Conditioner! You guys might have seen my latest Instagram post about it and it works wonders! So those of you that might have already started incorporating charcoal hair products into your daily hair regimen, you go girls!!! And boys! 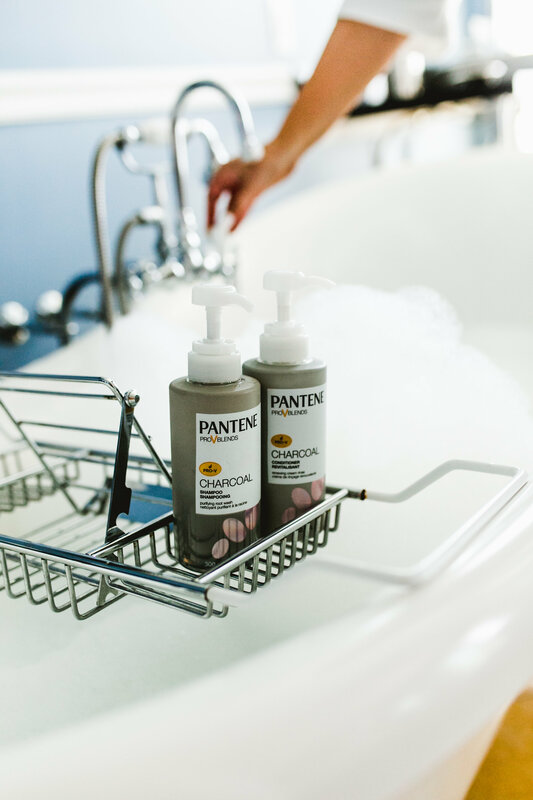 😉 But if it’s not Pantene’s new Charcoal Collection Shampoo and Conditioner, you’re missing out! Either way, I HAVE to share it with you guys! I don’t know about you guys but during these warmer summer days, my hair tends to get SOOO dull and dry (wah!) But after a few washes with these bottles of magic, I noticed more of a shine and my hair just really felt cleaner and lighter. Well after further research I discovered that the charcoal is a purifying ingredient which detoxes hair by attracting impurities like a magnet and releases antioxidants! 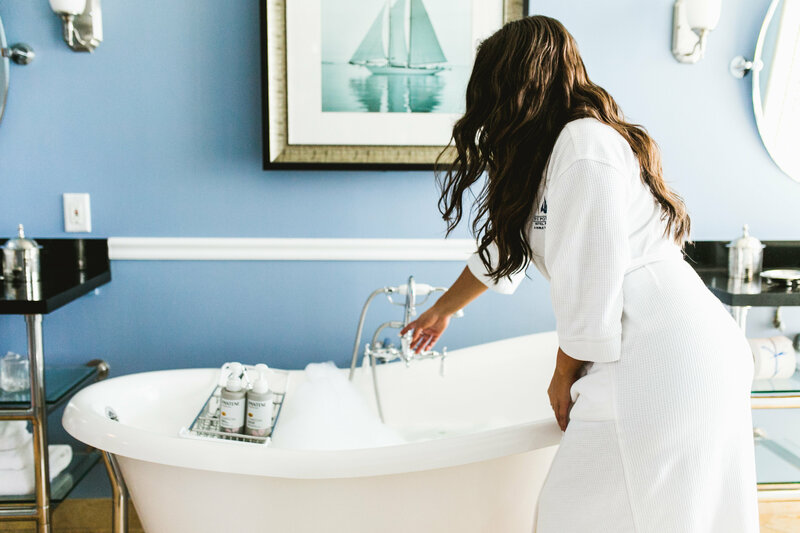 Which in turn helps it look refreshed and clean with a whole lot of shine! 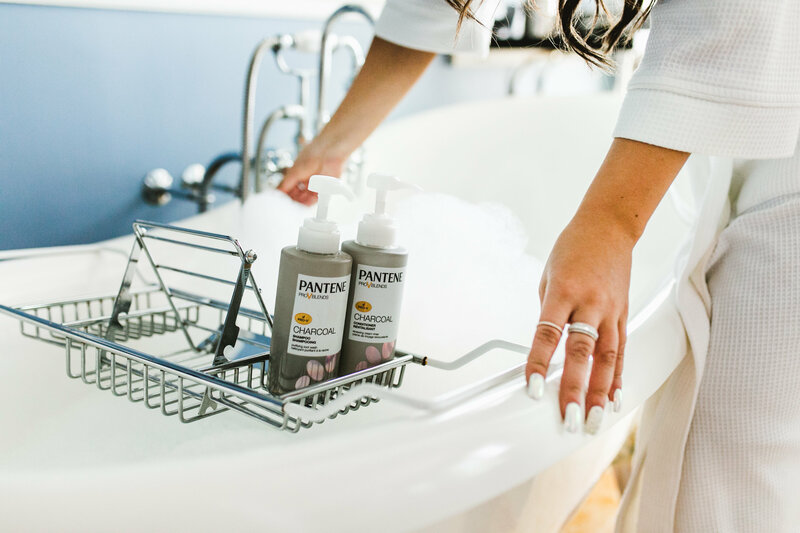 Pantene’s Charcoal Collection is also free of silicone and parabens and dyes, which was also very important and appealing to me! 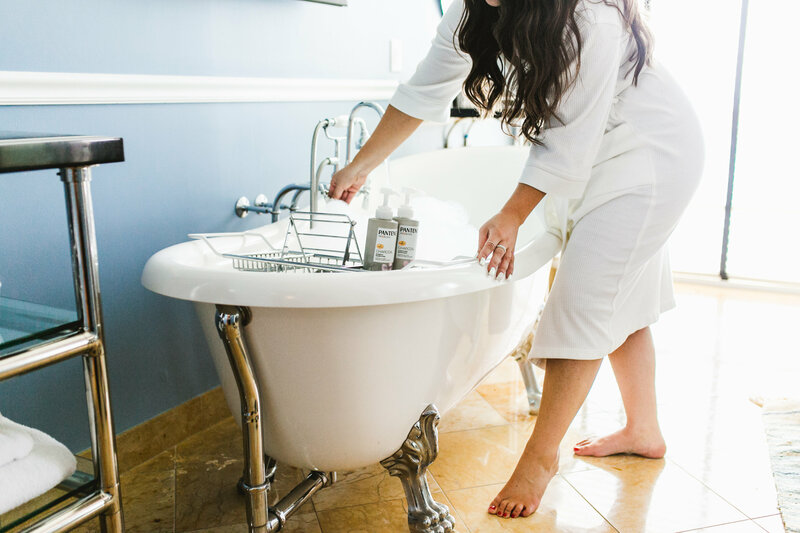 You guys KNOW I’ve been trying to pay more attention to the things I not only put in my body, but the beauty products I put on my body as well! So seeing that was an added bonus! And best part of all? Right now if you buy two Pantene Charcoal Collection products at Target, you’ll receive a $5 gift card!! That’s literally like gold!! I buy ALLLLLL the things at Target! haha!.. But who doesn’t?! It happens every time… I go in for batteries or some cleaning supplies or something else super uninteresting and I somehow come out with like hundreds of dollars worth of new beauty products!! Please tell me I’m not the only one?!! haha!! Either way, go get your gift card!!! And treat yourself to some life-changing hair products!! <p>This is a sponsored conversation written by me on behalf of Pantene. The opinions and text are all mine. Next Post Last-Chance Nordstrom Anniversary Sale Finds + GIVEAWAY! I love charcoal products. Gotta try this out! Right?! They are so good!!! I love the photos with your blog. My hair is dry and I have an eccentric dye. This is nice to know. Thank you so much for reading Phyllis! Right now I’m fortunate enough to shampoo and condition my hair somewhat regularly. Some day I’ll be able to invest in more products. 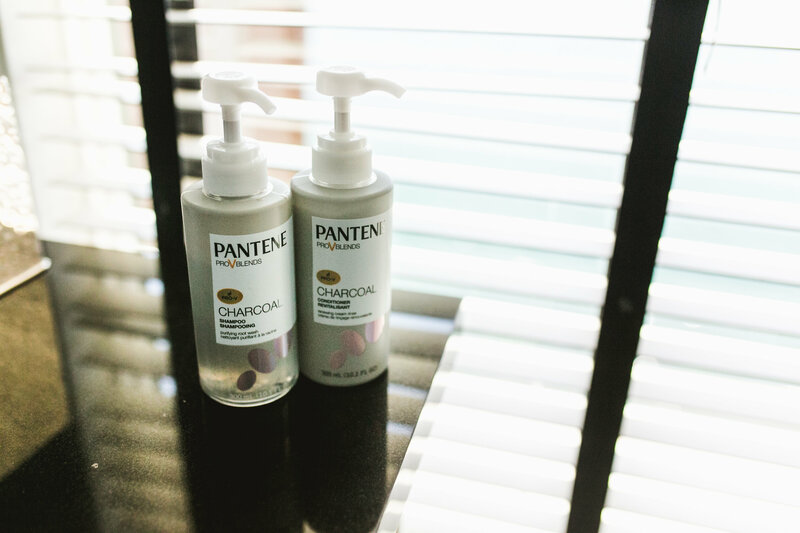 The Pantene charcoal shampoo and conditioner looks like something I would really want to try on my hair. It seems like charcoal is almost in every hair and skin care product now. It must really be good! I’m trying to get into more charcoal products. Great stuff. It really is!! Thank you for reading Ray!! Aw I wish it was my bathroom!! Sadly it was a staycation, but soooo beautiful right?! I haven’t tried out their charcoal products yet. Wow, charcoal for your hair! Ok, must try. I’ve never used charcoal on my hair, but I’d love to try it! What a great review! I love your pictures! YASSS to Target!! I haven’t used Pantene in years but I’m definitely intrigued by this new product. Also, love that it is paraben free. Excited to add this to my beauty must try list!